This is the web-site of Guilford Transportation owner of the Pan Am brand and former operator of the airline which ceased operations in February of 2008. 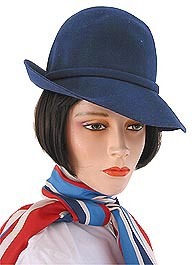 This unique web-site created by Cliff Muskiet features flight attendant uniforms from all over the world. Click first on the "uniforms" icon at the top of the link and then on the Pan Am link to see some uniforms from the 1960s through to 1991. Though not a complete collection of Pan Am flight attendant uniforms those featured are very well presented. This web site specializes in airline timetables with a dedicated Pan Am page. Also included is a list of Pan Am timetable publication dates and an excellent graphic of corporate logos of Pan Am affiliated airlines in Latin America. Airchive.com is a web site of airline history and memorabilia. It is associated with Airways Magazine. From the main web page you can seach for "Pan Am" and see many images of Pan Am aircraft & memorabilia. This site specializes in airline uniform wings with a variety of airlines represented. The Pan Am Wing Collection is one of the most complete and well presented on any web site. This site specializes in aircraft photos of many airlines and aircraft types. The Pan Am Section includes thousands of images. You can also search by aircraft type, airport, decade or year. New images are regularly added to the site from contributors around the world. This web site specializes in airline timetables and baggage tags from around the world. There is a dedicated page of original Pan Am Timetables as well as timetables from sister company Panagra and a timetable page for Pan Am II. There is also a pages for Pan Am Baggage Labels and Panagra Baggage Labels. When the Pan Am Historical Foundation was formed after the demise of Pan Am its first task was to sort through several thousand boxes of Pan Am files that had been stored for many years in New Jersey. The Foundation culled the files down to about 800 boxes. These documents, files and photos were then donated to the Richter Library at the University of Miami and are available to the public for viewing and research. (click on logo above). This web site gives information on the flying boat museum in Foynes, Ireland. Foynes was a stop on the North Atlantic flying boat route between New York and England. The museum recently had a very accurate mock-up of the Boeing 314 flying boat built at the museum site. As no actual Boeing 314 flying boats exist today the museum replica is the only current opportunity in the world to experience the aircraft. 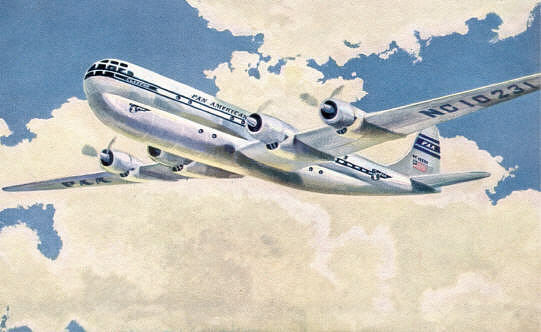 This web site features post card images of the Boeing 377 "Stratocruiser" from many airlines. The dedicated Pan Am page has images of Pan Am Stratocruisers in-flight and at airports around the world.. 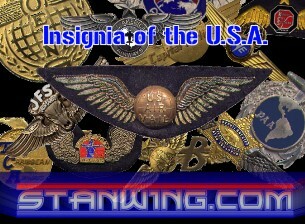 This web site features personal writings on aviation. This web site is for a novel centered around the construction of Pan Am's Pacific Island flying boat bases. This unique fiction incorporates actual Pan Am people into the story and is a fun read.. This wonderful web site shows the personal airline memorablia collection of Ron & Tony. The collection includes some very early and rare Pan Am china manufactured by Hall China. The site also has both Pan Am & other airline memorabilia for sale. The links below each have a brief description of their content. To see the link click on the image. If there is no image click on the underlined title. 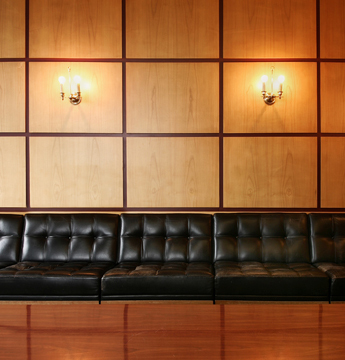 A private party space in the heart of Berlin the Pan Am Lounge is designed to evoke the glamour travel era of the 1960s when Pan Am was the largest airline operating into and out of Berlin. Pan Am memorabilia and Stewardess-like hostesses keep the Pan Am spirit alive in Germany!